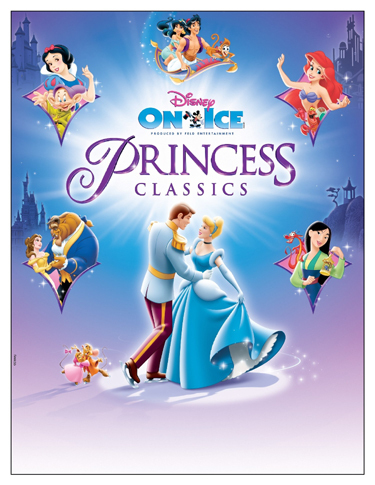 Giveaway - Disney on Ice presents Princess Classics! Hey everyone! It&apos;s giveaway time...on the slate, 2 family 4-pack of tickets to see Disney on Ice presents Princess Classics at the St. Pete Times Forum! Very exciting right??!! We will be doing the giveaway on the Visit Tampa Bay facebook fan page on Tuesday, Sept. 8 and Wednesday, Sept. 9 at 11am both days! As always, we&apos;ll be posing one trivia question each day, and the first 10 people to respond with the correct answer have a chance to win the tickets (we&apos;ll have a random drawing after that). The show is Thursday, Sept. 10, so be prepared to go!!!! Disney On Ice presents Princess Classics, produced by Feld Entertainment, features Cinderella, Jasmine, Ariel, Sleeping Beauty, Belle, Mulan and Snow White showcasing their stories on the ice. This awe-inspiring performance combines the greatest moments of Disney’s Cinderella, Aladdin, The Little Mermaid, Sleeping Beauty, Beauty and the Beast, Mulan and Snow White and the Seven Dwarfs. I can honestly tell you that I&apos;ve been to several Disney on Ice shows, and they are AMAZING! So, no matter how old you are, or aren&apos;t, this is some Tampa Bay entertainment you have to see! So, become a fan of the Visit Tampa Bay facebook page (www.facebook.com/visittampabay), be there on Tues., Sept. 8 at 11am and get ready to have some fun. And as always, keep checking back for more great things to do in Tampa Bay!